Althea Harris is Small Business Administration (SBA) Assistant District Director for Marketing & Outreach, Area 1. Althea discusses SBA government contracting. Althea A. Harris has been helping and advocating on behalf of businesses for over 23 years when she started her federal career in 1993 at the U.S. Department of Commerce under the late Secretary Ronald H. Brown. Having held several positions within the SBA office in Miami since 1999, Mrs. Harris now serves as the Assistant District Director for Marketing & Outreach for Area 1. 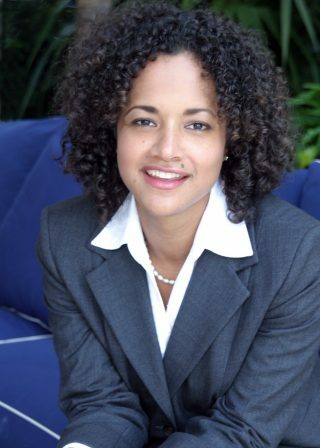 A graduate of Howard University and the University of Miami School of Law, Althea is also active in her community having served on the Boards of the Girl Scouts Council of Tropical Florida, the Miami-Dade Economic Advocacy Trust, The Women’s Business Development Council of Florida, and, the Coconut Grove Collaborative, Inc. She has also served as a member of the Florida Bar’s Grievance Committee, ensuring the responsible, ethical, and professional conduct of South Florida’s attorneys. Mrs. Harris is currently the Chairman of the Florida Memorial University School of Business Advisory Council.